Whiteheads, also known as closed comedones, are a form of acne caused by skin pores clogged with trapped dirt, sebum and dead skin. They mostly appear on the nose, cheeks, temples and forehead. 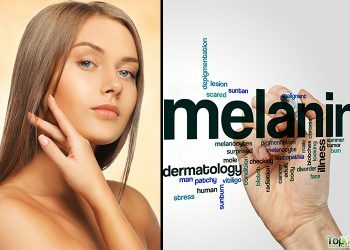 They are similar to blackheads but appear as small white or yellow bumps as they form under the surface of closed pores. Blackheads are dark in color due to being exposed to oxygen. People with overactive sebaceous glands and excess sebum production are more prone to develop whiteheads. 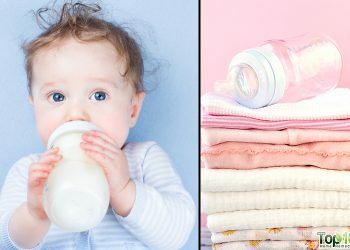 This usually happens due to hormonal changes or genetic factors. Moreover, whiteheads are more common in acne-prone skin because the cells lining the pores are stickier, thereby promoting clogged pores. 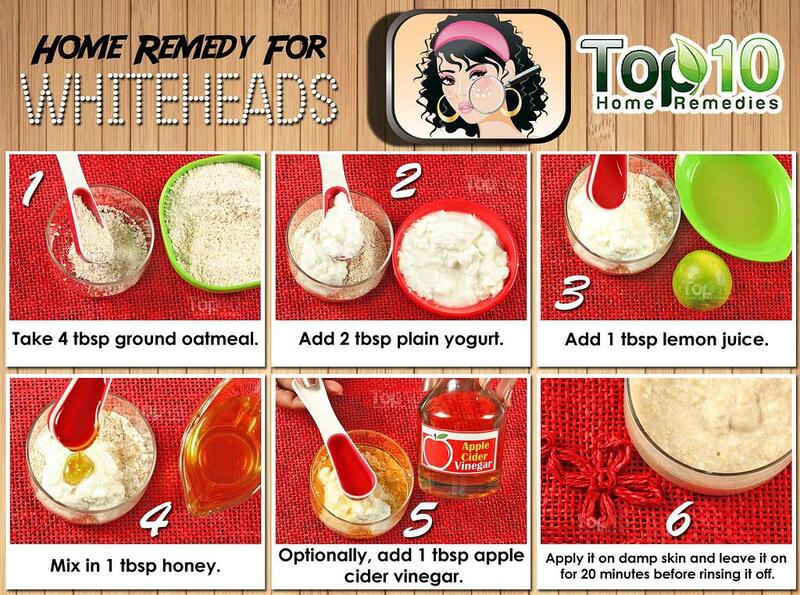 Here are the top 10 home remedies for whiteheads. 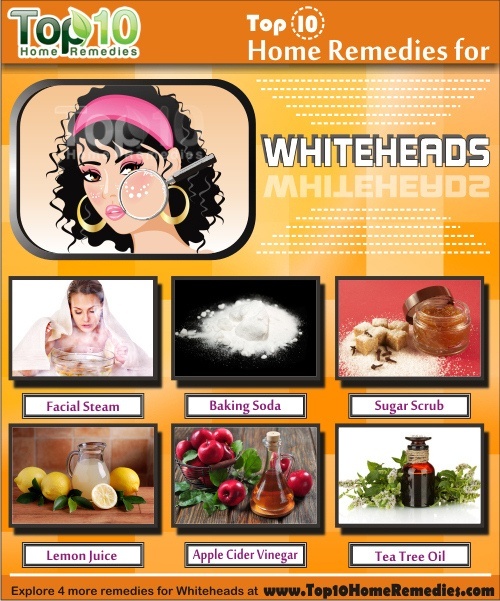 A facial steam or sauna is one of the best natural treatments for whiteheads. It helps open up the pores and loosens the buildup of dirt, oil and dead skin cells. Boil some water in a pan to create steam. Turn off the heat and place your face over the pan while holding a towel over head to trap the steam around your face. Allow the steam to soak into your face for five to eight minutes. Finally, pat dry your skin with a clean towel. Alternatively, you can dip a soft, clean towel in warm water, wring out the excess water and place it on your face. Leave it on for a few minutes and then remove it. Repeat the process two or three times in a sitting. Use either of these remedies once or twice a week on a regular basis, especially if you have oily skin. You can also follow this with one of the facial scrubs or exfoliating remedies for even better results. Baking soda is good for gentle exfoliation of oil, dirt and dead skin cells from the skin. 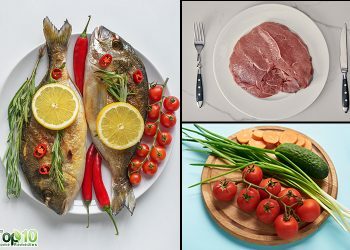 It also helps maintain the pH balance of the skin. Mix a little water in one teaspoon of baking soda to make a thick paste. Apply it on the affected area and wash it off after a few minutes. Repeat two or three times a week until you are satisfied with the results. Note: Avoid using baking soda if you have sensitive skin. Being slightly abrasive in nature, oatmeal also works as a natural exfoliant to get rid of accumulated dead skin and dirt. In addition, it absorbs excess oil and opens the pores. Mix two tablespoons of yogurt, one tablespoon each of lemon juice and honey, and four tablespoons of powdered oatmeal. You can also add one tablespoon of apple cider vinegar. Dampen your skin and then apply this paste on your face. Leave it on for 20 minutes before rinsing it off. Alternatively, apply a simple paste of powdered oatmeal mixed with water. Leave it on for 10 minutes and then scrub it off to exfoliate your skin, minimize pores and reduce blackheads. Follow either of these remedies once or twice a week on a regular basis. A homemade sugar scrub can work wonders for your skin. It will help exfoliate your skin to remove excess oil and debris trapped in the pores without causing dryness. Mix together one tablespoon each of sugar and honey. You can also add a few drops of lemon juice. Apply it on your face and gently massage in circular motions. Wipe it off using a wet washcloth and then wash your face. Being rich in alpha hydroxy acids, lemon juice helps exfoliate the skin and also facilitates cell regeneration. It also helps get rid of excess oil due to its astringent properties. Dip a cotton ball in lemon juice and apply the juice on your face. Leave it on for 15 to 20 minutes and then wash your face with cold water. Do this daily before going to bed. Continue for at least a few months. Apple cider vinegar works like an astringent and thus removes excess oil from the skin. Plus, it has antiseptic and antibacterial properties that help fight acne. Mix one tablespoon of apple cider vinegar in one cup of water. Apply this solution on your face using a cotton ball. Leave it on for about 10 minutes before rinsing it off with lukewarm water. Another option is to mix one part apple cider vinegar with three parts cornstarch. Spread it on your face. Leave it on for 15 to 20 minutes before scrubbing it off. Clean your face with a washcloth soaked in warm water. Follow with a cold water rinse to close the pores. Use either of these remedies daily or a few times a week until you get encouraging results. 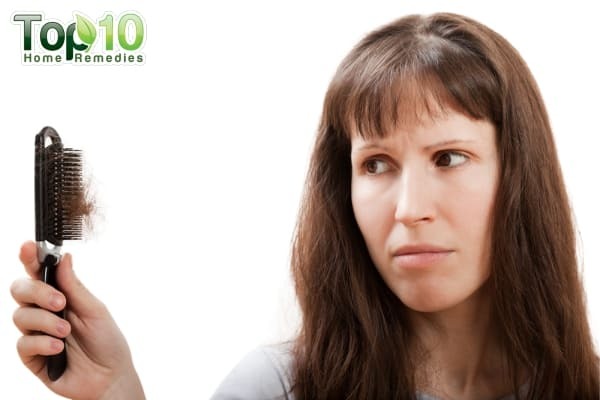 Tea tree oil can be used as a natural astringent to reduce oiliness and get rid of whiteheads. 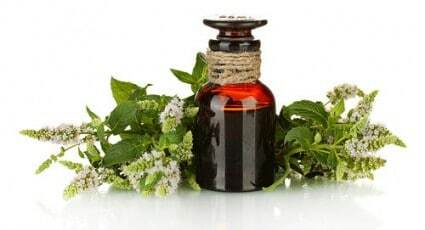 Due to its antibacterial properties, tea tree oil will also fight acne. Dip a cotton swab in water and put three or four drops of tea tree oil on it. Dab it on the affected area. Leave it on at least for 30 minutes. Do this twice daily until you see improvement. Cinnamon is excellent for improving the quality of your skin. 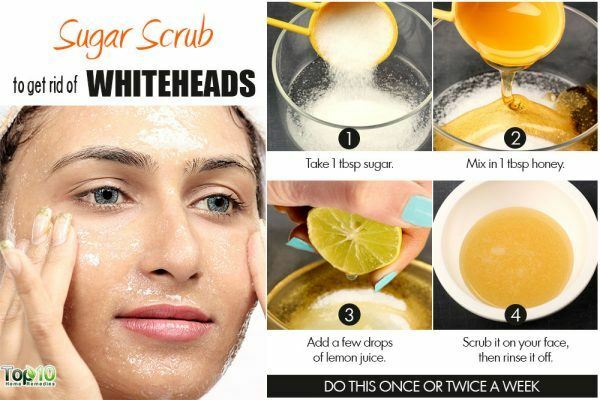 When used as a scrub, it helps reduce blackheads and whiteheads. It also promotes the production of collagen, thereby facilitating skin regeneration. 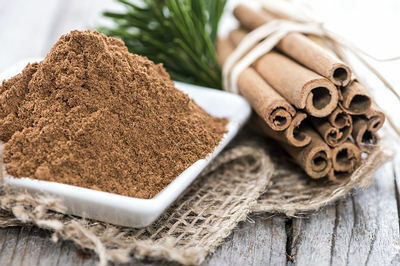 Plus, cinnamon has antimicrobial properties that fight acne. Mix together one teaspoon each of cinnamon powder and oat flour with sufficient warm water to make a thick paste. Spread it on your face and scrub for a few minutes. Leave it on for 10 to 15 minutes before rinsing it off. Alternatively, you can apply a paste of one teaspoon each of honey and aloe vera gel and a pinch of cinnamon powder. Leave it on for about 15 minutes before rinsing it off. Note: Before using cinnamon on your skin, perform a patch test to make sure you are not allergic to it. 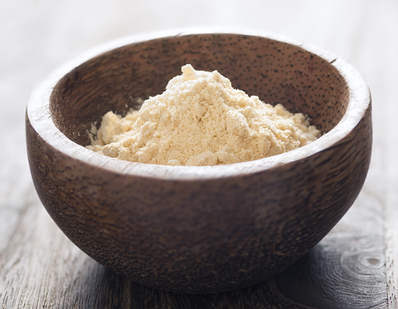 Gram flour is an excellent ingredient for deep cleansing and exfoliating your skin to remove dead skin and absorb excess oil. It will also help get rid of unwanted facial hair. Mix two tablespoons of gram flour in sufficient yogurt to make a thick paste. Optionally, stir in one-quarter to one-half teaspoon of turmeric powder. Spread it on your face and leave it on until it dries completely. Scrub it off and then wash your face. Repeat two or three times a week on a regular basis. 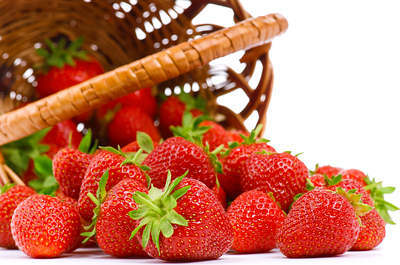 Strawberries are another useful home remedy for whiteheads. Their mildly abrasive texture exfoliates the skin, thereby removing trapped dirt, dead skin cells and oil clogging the pores. They also contain salicylic acid, a common ingredient used in anti-acne treatments to help unblock pores. Plus, the ellagic acid present in this fruit protects the skin from sun damage caused by ultraviolet rays. Mash two or three strawberries to make a paste. Spread it on your face and gently massage in circular motions for a few minutes. Leave it on for 10 to 15 minutes and then wash it off. Repeat once or twice a week for a few months. 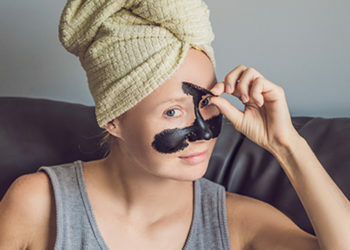 For best results, use the exfoliating masks and scrubs after facial steaming. Nice I will try some of the remedies listed. Works best, peal of banana is also v useful. Gonna try sme of them,I lyk emm coz thy r affordable. A big thanx…. Wowww. .easy to follow. thank you!